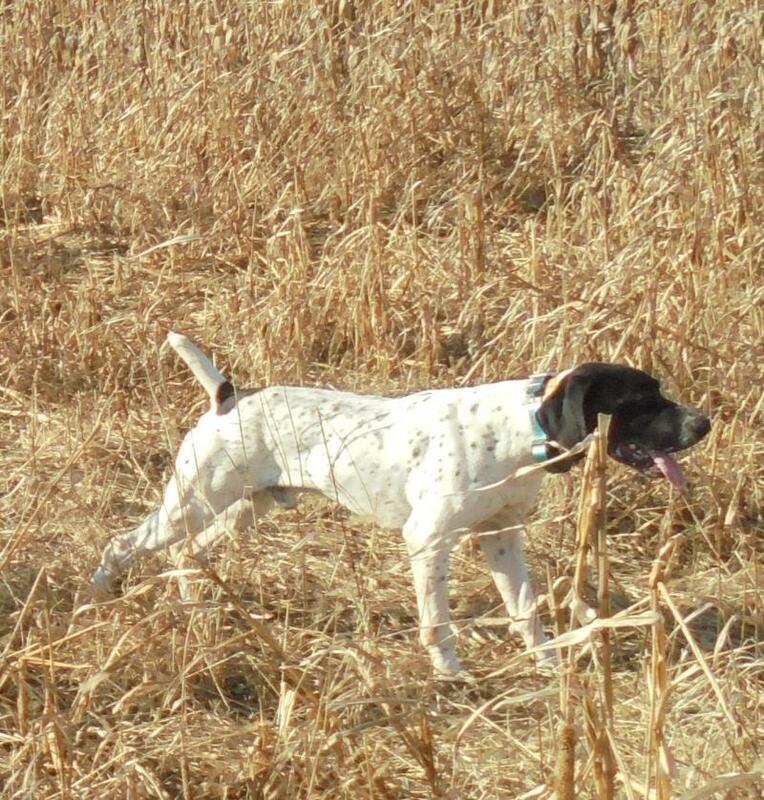 This AKC registered German Shorthair male pointer has had a lot of quail, pheasant, and chuckers killed over him, retrieves to hand, is whoa broke, whistle broke, and honors. He is very stanch on point and has a great nose. 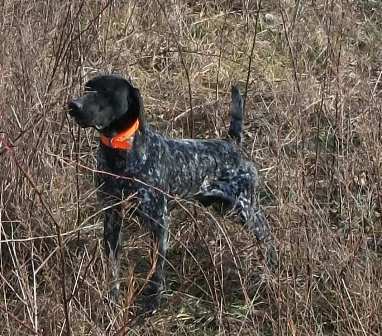 This dog is easily handled and a great hunter. 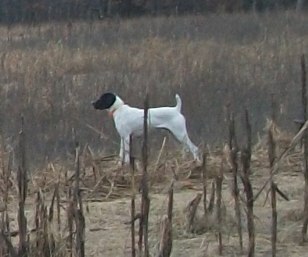 He is great for quail and pheasant hunting. Pedigree includes National Field Champion Rawhides Clown, Dual Champions /AFC Shill Rest's Impressive and Cajun Queen, Dual Champion The Flying Dutchman V Rip Traf, Field Champion/American Field Champion Koyote White-Mountain Mist, Field Champions Dolly's Big Is Junker V Greif, Rawhides Lucky Moon, Rockin Rollin Billy.